"There's a certain notion that e-cigarettes are harmless," says Dr. Paul Ndunda, an assistant professor at the School of Medicine at the University of Kansas in Wichita. "But ... while they're less harmful than normal cigarettes, their use still comes with risks." "There's a certain notion that e-cigarettes are harmless," says Dr. Paul Ndunda, the study's author and an assistant professor at the School of Medicine at the University of Kansas in Wichita. "But this study and previous other studies show that while they're less harmful than normal cigarettes, their use still comes with risks." The findings haven't been published in a peer-reviewed scientific journal, but Ndunda says the researchers plan on submitting their results soon. "These results are important as they qualitatively and quantitatively agree with previous studies," says Stanton Glantz, a tobacco and e-cigarette researcher at University of California, San Francisco, who wasn't involved in this work but did publish another study that linked e-cigarette use to higher risk of heart attack. "The fact that the stroke and heart attack risk factors are not that different is also the same pattern you see with cigarette smoking, which adds extra weight to this study too." In fact, Ndunda found e-cigarette users are twice as likely to also smoke conventional cigarettes, compared with people who don't use e-cigarettes. "Even in that group there was a 29 percent higher risk of stroke and a 25 percent higher risk of heart attack," Ndunda says. Taken together, these two analyses point to an additive effect of e-cigarette and conventional cigarette use. "So if you're a dual user, which many e-cig users are, you're actually worse off," says Glantz, who found a similar additive effect in his study. Scientists aren't quite sure how e-cigarettes lead to this higher risk. You could have this pre-existing buildup, Glantz says, "and then you use the e-cigarette and that triggers a bunch of inflammatory processes, the release of oxidizing agents and things which then interfere with normal functioning of the blood and blood vessels, and that triggers a heart attack or stroke." "This study certainly has limitations," Ndunda says. For one, this study couldn't distinguish between occasional e-cigarette use and those who vape more frequently. "It likely matters how much you're using, and we couldn't evaluate that here," Ndunda says. 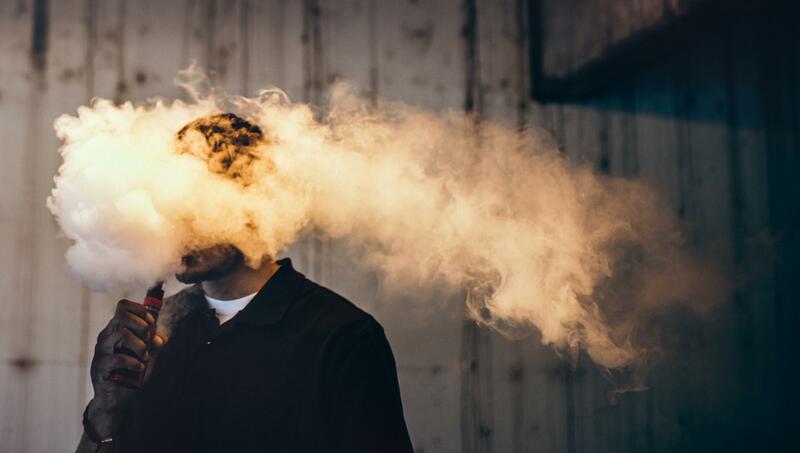 E-cigarettes can deliver a range of nicotine concentrations and a wide variety of chemical flavorings, adding further complications to the analysis. The study's design also means it can only show an association between e-cigarette use and risk, not cause and effect. Dr. Chitra Dinakar, a clinical professor of pulmonary and critical care medicine at the Stanford University School of Medicine who has studied the health effects of e-cigarettes, says this work, which only surveys adults 18 and older, "does not reflect the risk of stroke in younger users." Still, she says, "this is an important topic that merits ongoing scrutiny."